Back in February of 2017, I had a shot at tattooing Whiskey Emerson. Interesting name, right? Well, it”s actually a pen name for a very talented young writer from Portland, Oregon. 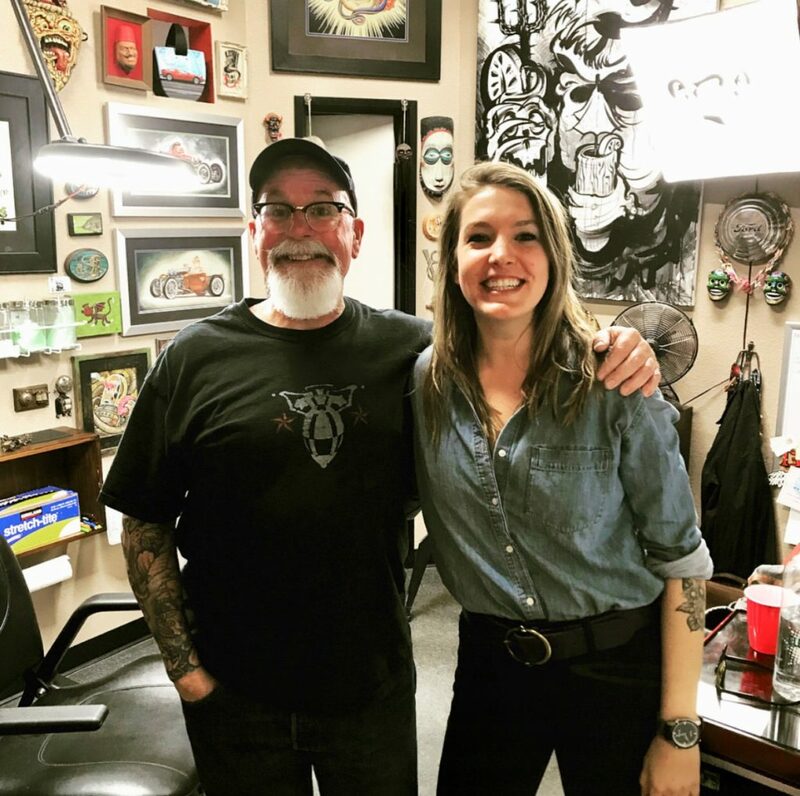 She was visiting a close friend her in Las Vegas when they decided it might be a good idea to get a friends tattoo at Studio 21 Tattoo. As luck would have it, I was chosen to tattoo Whiskey! I feel fortunate to be able to sit with interesting people from all walks of life. Sometimes you meet someone and right away realize this individual is special! This is the way I felt when I met Whiskey Emerson. One can always find common ground with others if you just take the time to show interest in what they have to offer. Whiskey enjoys motorcycling, which used to be one of my passions. If I were her age, I would still be enjoying the sport. Whiskey also shared some of her stories about her love for the great outdoors, something that I also enjoy immensely! Our conversation eventually led to the fact that Whiskey was working on a book publishing deal. She told me she had done a kickstarter to finance this deal and was close to being published on Mascot Books, a publisher out of Herndon, Virginia. Whiskey had mentioned at some point in our conversations she was a history buff. “West of Hell”, is a historical fiction that takes place in Hell’s Kitchen, New York City in the late 1800’s. 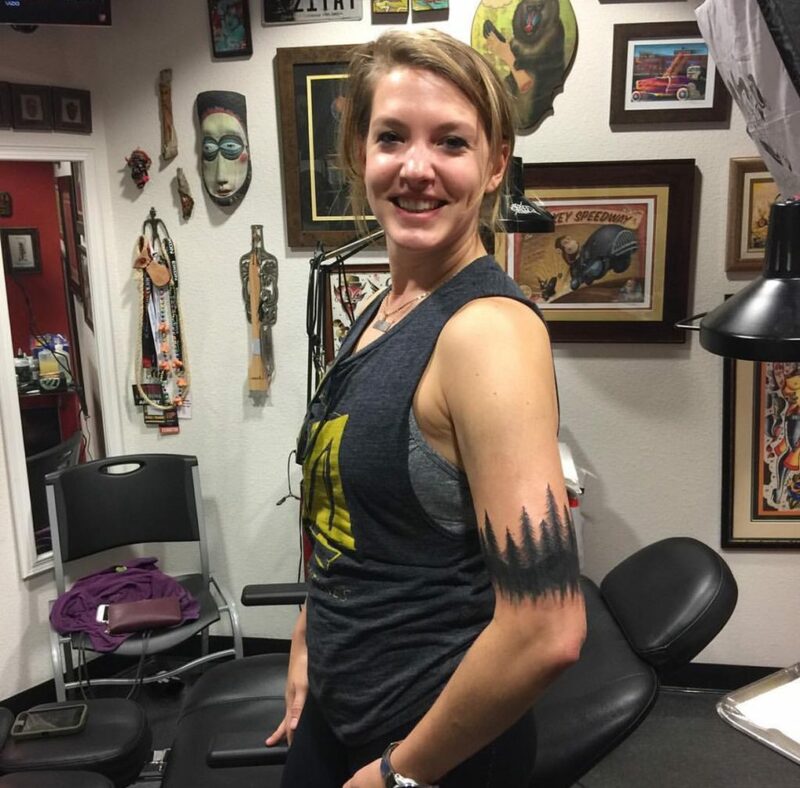 I wished her the best of luck with the publishing deal, finished her tattoo and said goodbye. A few weeks later, I received an email from Whiskey. She wanted to know what I thought of the illustrations someone had sold her to use at the beginning of each chapter. A quick look at what she had was just some crappy clip art someone had sold her, I felt she had been taken advantage of so I told her I’d be glad to do illustrations for her that would be more presentable. Knowing that Whiskey had put a tremendous amount of effort into writing theis novel, I knew West of Hell deserved some quality illustrations to adorn the pages. This was the beginning of a relationship that will now lead to my being able to help her with illustrations for her next novel, “East of Hell”, which is currently in the works. Here we are, a little more than a year has passed since the first time tattooing Whiskey. “West of Hell” was published and is now for sale just about everywhere books are sold! She sent me a signed copy which I am very proud of. I have read my copy and have to say, it’s a really amazing story and a joy to read. Whiskey hooks you in right from the start and created some fascinating characters. The best part is, there’s more to come as West of Hell is to be the first part of a trilogy. “West of Hell” Book Signing at Studio 21 Tattoo Gallery will take place April 7th, 2018, 6pm – 9pm, Author, Whiskey Emerson…writer, adventurer, renegade.